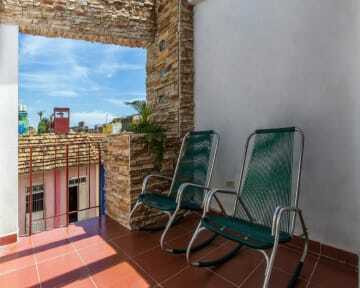 Hostal Cabriales is a modern architecture. Freshly restored in 2015, the house has an elegant design that helps to feel very relax. The atmosphere is quiet, the house offers spacious rooms with views over the city. Guests can enjoy the terrace and take a nap. Breakfast can be served daily and traditional dinner served upon request. The property can organize some activities such as: walking trips, horse trips and taxi service. The house is just two blocks from Central Park Trinidad, where you can find a Wi-Fi point. Just two blocks to find all commercial stores in Trinidad, to do their shopping. It is located 10 minutes from downtown of the city, where to find Casa de la Música, Casa de la Trova, etc. 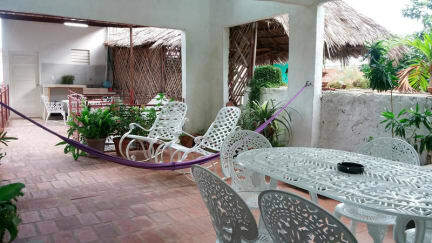 Hostal Cabriales offers comfortable and spacious private rooms. The rooms can accommodate up to 4 people, perfect for a family. One of the rooms has a balcony and the other a private terrace.